HI, this is your old mate Brian Matthew inviting you to take a look through the pages of this wonderful book of pictures taken from ABC’s “Thank Your Lucky Stars”, television’s top pop show. In nearly 100 editions already shown, there must have been almost 1,000 personalities, including nearly every British star and quite a few American top recording artistes. This book can’t attempt to show off all of these stars to you, but I think that the selection pictured really represents what “Thank Your Lucky Stars” means to me and, I hope, to you. Happy viewing, and may all your stars be lucky ones. Brian Matthew was born in 1928 and trained as an actor at RADA. 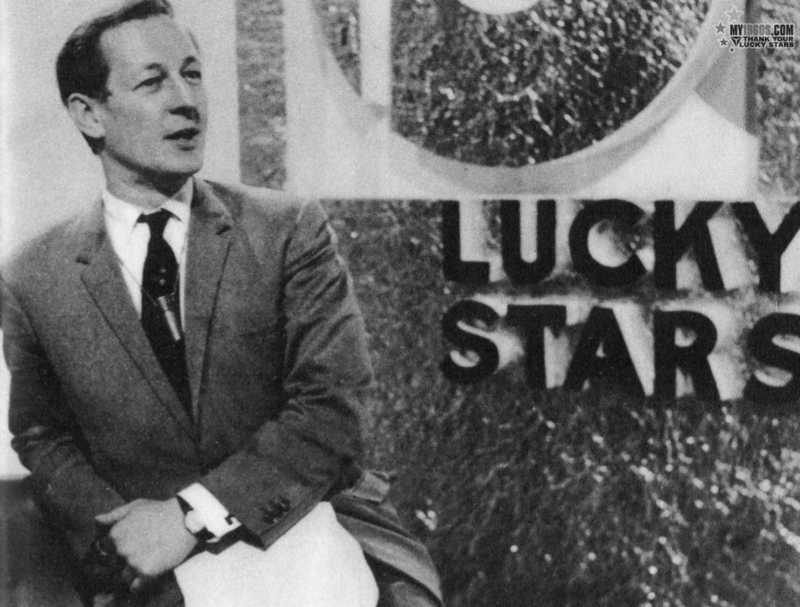 He has worked for BBC radio since the 1950s and presented ABC-TV's "Thank Your Lucky Stars" between 1961 and 1966.